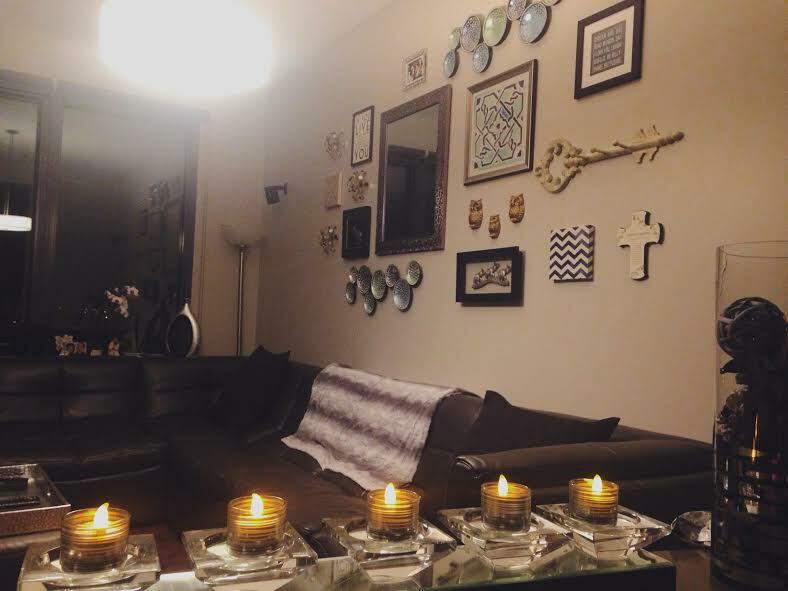 When my sister and brother-in-law asked me to help them decorate their new place I was so honored and excited. 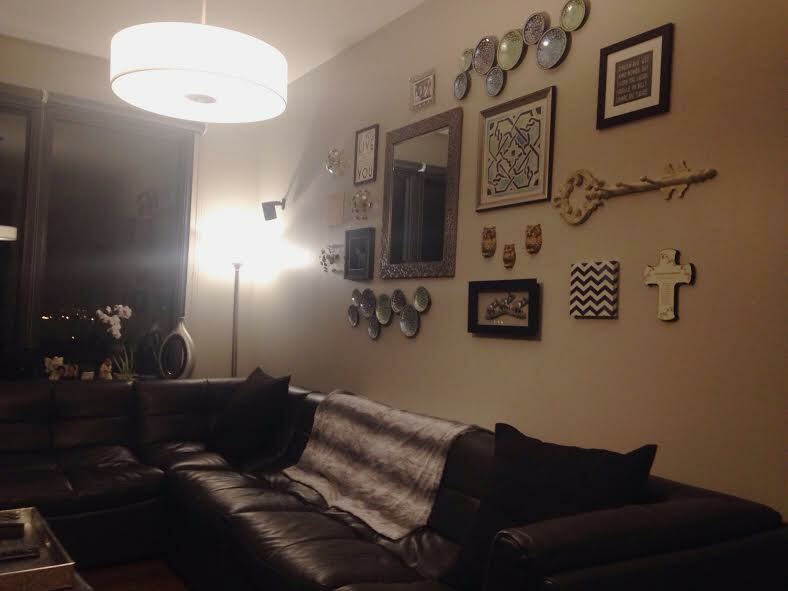 One of the very first things we have been working on is a gallery wall in their living room. 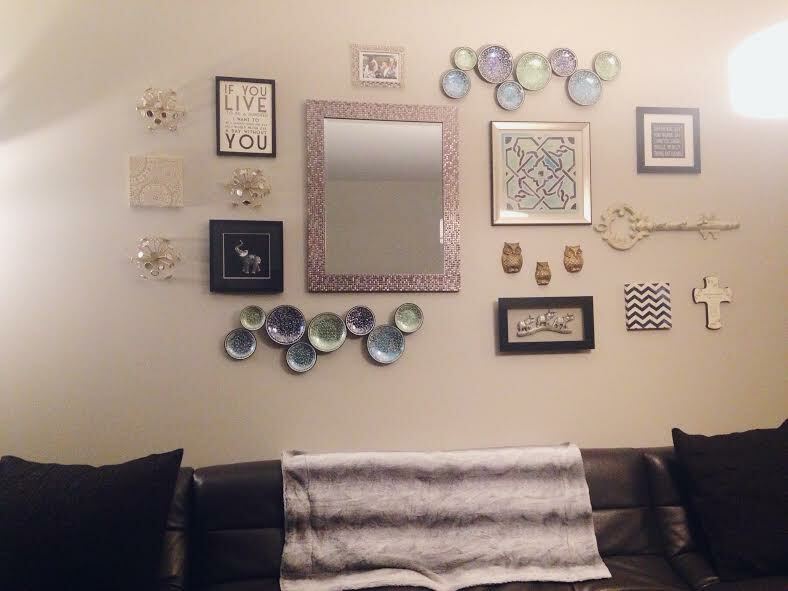 They have a very long wall, which is perfect for their sofa, but they wanted to fill behind the sofa, so I suggested a long gallery wall. 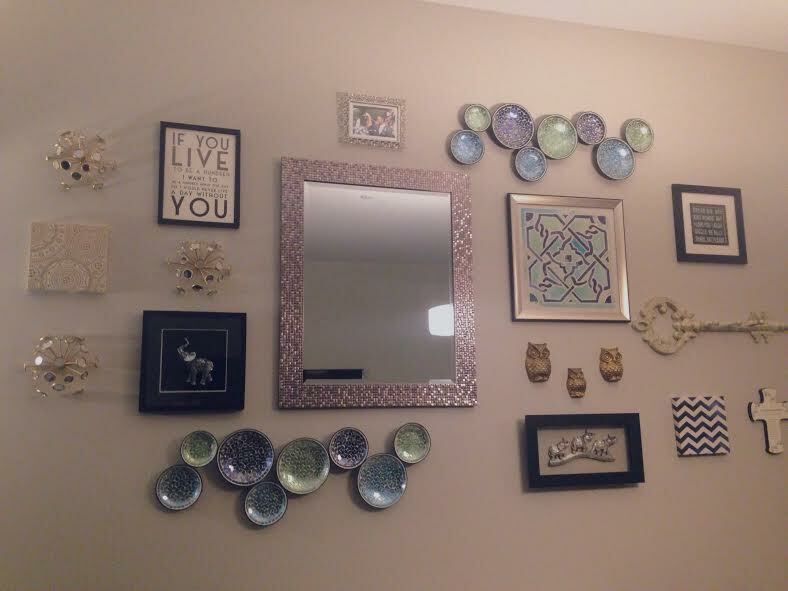 After searching around for the perfect pieces and setting up the entire wall on the floor (below), everything came together. We are so happy with how it turned out and I hope everyone likes it as well. Gallery walls have been trending on Pinterest, so we tried to use pieces that were timeless and personalized. We added art work and patterns but also made it fun with owls and elephants. 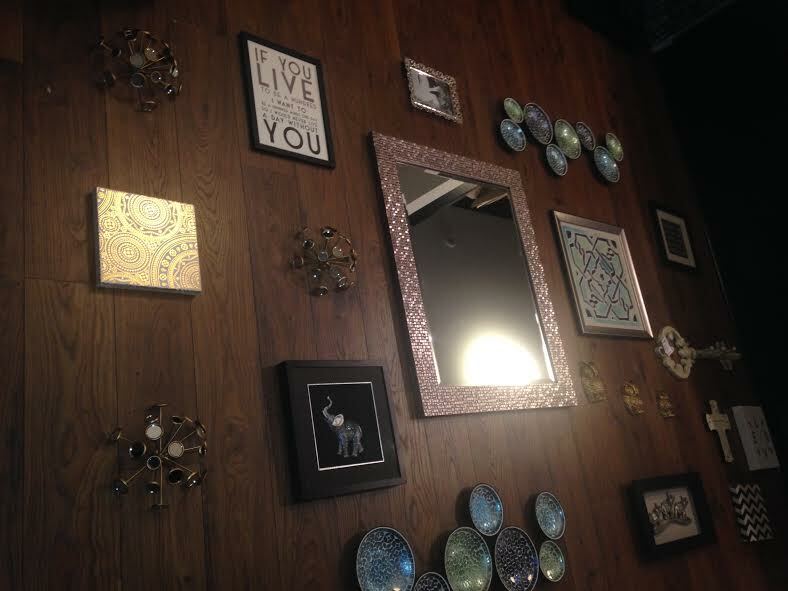 Gallery walls are great because you can add to them whenever you want. You can also play around with the spacing and placement of the pieces to create a balance.